Let’s start off by stating the obvious. Readability is important when it comes to signs or graphics. It becomes essential as far as directing visitors, customers, or employees towards a business are concerned. In a situation where every second counts, for example, trying to locate the correct entrance to an emergency room at a hospital, subjecting visitors to a font which is difficult to read leads to a poor user experience and only reflects negatively on your company. This is not the kind of impression any business would like to leave on their customers. The fancy or “script-looking” serif type of font can be difficult to read especially when you are at a distance. 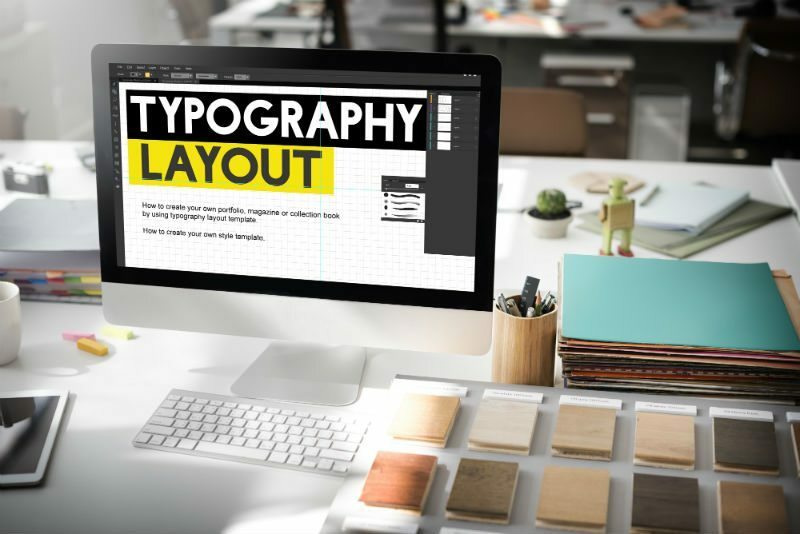 Ultimately, the typography needs to complement the main purposes of a sign, i.e., promoting, directing or informing, and be legible even from a reasonable distance. As long as it can fulfill all these purposes, the font being used is a good one. When used incorrectly, fonts, sizes, and colors can easily confuse the reader about the message. It’s important to find a typeface which is consistent and use it throughout a facility so that it kind of represents your brand. Choose a font which can effectively communicate your message, design, and image requirements. A clean choice of type style will only increase message legibility and customer retention rates. This font basically has a short stroke at the end of every stroke in letterform. These strokes are also commonly called “feet”. A paragraph of text becomes easier to read when it is in serif font since the “feet” helps in guiding a reader’s eyes from the first letter to the second and so on. “Sans” is basically a French word which translates to “without”. These fonts are mostly used for headlines or for standout titles. Their simple, clean appearance is what makes them stand out from the rest. Any typeface which appears as if it is hand-written with a pen, pencil, or brush is a script font. These fonts can add elegance to designs but can also destroy it quickly if it is overused. These fonts are not meant to be used with body copies or for any other type of heavy usage. Normally display fonts are used in newspapers, banners, or movie posters. You might have noticed how eye catching they are because that is what they are supposed to do – grab user attention and highlight a particular part of the message. Marketers use it to highlight key points or keywords that help them increase the sale of their product by making it read more desirable. However, this type of font is not used that often and not everywhere due to their “in your face” nature. Use a few contrasting fonts that can complement each other and are also able to please the eyes. Use script fonts as sparingly as possible. Use fonts which agree with each other so that you can get a classic, subdued sort of look. Use fonts which are similar look wise and character wise. Use the script font with all uppercase letters. Use more than 2-3 fonts in the design of a single sign. Always be clear and concise. Do not give in to the urge of using a script font or something disastrous like comic sans. If you are in doubt, just keep things simple. Remember, when it comes to signs, less is always more.